Kelsey, a recent graduate of the University of Nebraska-Lincoln, graduated with Highest Distinction from the College of Architecture in May 2017. She interned with Davis Design for three semesters and spent her last semester abroad before joining the firm full-time. She is currently working towards her National Council of Interior Design Qualification (NCIDQ) certification. 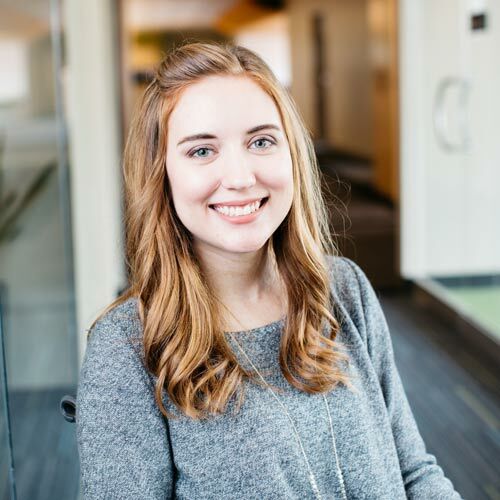 Her time in the office is dedicated to several Bryan Health projects, as well as assisting the interior design team with Revit software processes. I studied abroad in Europe for exactly 100 days. During that time, I biked through the city of Copenhagen, climbed the 686 stairs to the top of the Eiffel Tower and ate pizza everyday in Italy.